This is the first of my new ‘character interviews’, where I’ll pose some questions to a character in one of my novels. First up we have Cara, from THE LIFE MAKEOVER CLUB! Occupation: Mother of three, wife of one (until Channing Tatum realises he loves me), taxi driver, personal shopper, chef, room service attendant, nurse, housekeeper (a bad one), artist (unpaid as yet), magician (I’m great at making chocolates disappear), human vending machine up until six months ago, and… what am I forgetting? Did I say I’m a mother? If I ever get any I’ll let you know. 2. What’s your favourite part of the day? When I’m so fast asleep not even an earthquake could wake me up. No seriously, I love it when I snuggle with my kids before bed. It makes it all worthwhile. Sometimes. 3. What do you think is the hardest part of being a mother? 4. What do you do before going to bed each night? I write my ‘To Do List’ (which can take a while), and my ‘Done List’ (which usually takes me about fourteen seconds), and transfer the ‘not yet completed’ items from the previous day’s To Do List to the new To Do List, and then add ‘Notepad’ to the Shopping List because I’ve run out of room on the To Do List. Then my son wakes up and after attending to him I forget what I was about to write on the new To Do List and then I usually pass out with the pen in my hand. 5. What scares you most in life? Not having my husband and kids around. I know I complain sometimes, but really, they are my world and I love them more than life itself. Thank you, Cara, for taking time out of your busy schedule. A little birdie told me your seven-year-old daughter, Lily ,will be joining us for an interview on Friday! Yes, that’s right. God help me. We all know about four-letter dirty words, but only writers know about the eight-letter dirty word – SYNOPSIS. A synopsis is a summary of a novel’s main plot points and characters, from the beginning right through to the end. Most agents and editors like to see one when assessing your manuscript for possible publication, so it’s something almost all writers have to do at some point. I’ve noticed many publishing professionals request a ‘brief synopsis’, which I take to mean about one or two pages at the most. Others may ask for a more detailed five or six page synopsis. But this is something many writer’s struggle with, me included. How can you possibly take a 300-400 page story and explain it in only one or two pages? I don’t claim to be an expert on this (far from it, although I do my best! ), but here are some things I’ve learned while writing my own synopses. 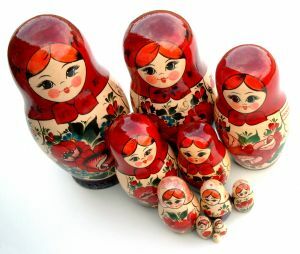 I’ve called it ‘The Russian Doll Method’! Open your manuscript and summarise all the main plot points, as though you’re giving someone a running commentary on a TV show or movie they can’t see. Use present tense. Don’t worry about length at first, just get the main plot points down (big Russian doll), and add in a taste of your voice, so if it’s humorous, show some of the humour, if it’s suspenseful, add that element to the synopsis too, as long as you don’t leave any questions unanswered. A synopsis’ purpose is to tell a potential agent or editor/publisher what the book is about and what happens throughout the story, including the ending. Once you’ve written the summary, go through and highlight the most important events affecting the main character/s in yellow. Then highlight the slightly less important events, but still a required part of the story, in another colour such as grey (just one shade, not fifty. Sorry, couldn’t resist;)). You might find that some events can be left out of the synopsis, for the sake of brevity. When John arrives at his grandma’s house it is empty, and her half eaten lunch is still warm. Terrified something bad has happened to her only moments before his arrival, John calls the police. John calls the police on finding his grandma’s house empty. Sometimes it’s easier to work this way, starting with a long synopsis and gradually breaking it down. If you end up trying this process, I’d love to hear how it goes for you – let me know! How do you go about writing a synopsis, are there any valuable tips you’ve learned through the process? 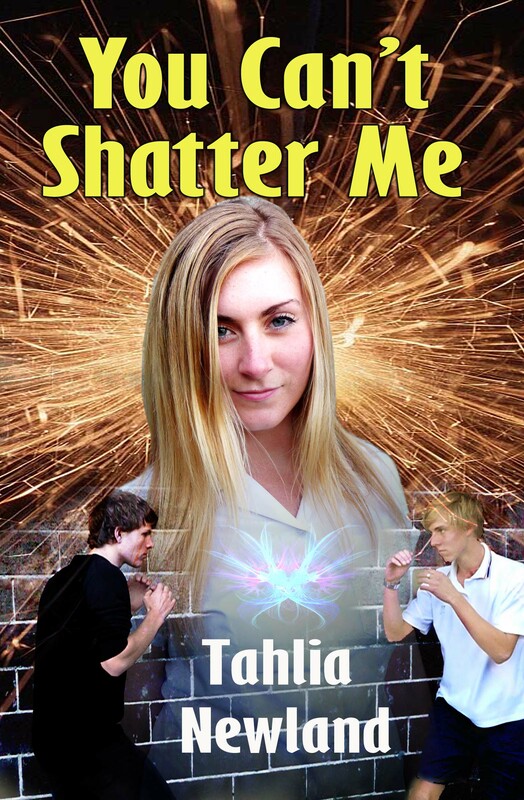 On the blog today I have author Tahlia Newland to talk about her new young adult novella, You Can’t Shatter Me, Tahlia writes magical realism and contemporary fantasy for young adults & adults. She has a short story available free on kindle for a limited period – A Hole in the Pavement from 3rd to 7th July. Welcome Tahlia, what is the novella about? It’s about Carly, a sixteen year old girl who wants to write her own life and cast herself as a superhero, but when she stands up to a bully, the story gets out of her control. Dylan, a karate-trained nerd who supports her stand, turns out to be a secret admirer, and Justin, the bully, makes Carly his next victim. While romance blossoms, Dylan faces attacking words, an unreliable movie director, a concrete habit that requires smashing, and an unruly Neanderthal. Meanwhile, the bully’s increasing harassment forces Carly to deal with flying hooks, unflushable cowpats, and deadly dragons. An old hippie shows her an inner magic that’s supposed to make her invincible, but will Carly learn to use it before the bully strikes again and Dylan resorts to violence? It’s a heart-warming story that will inspire and empower teens and adults alike with its solutions for the bullying issue. It’s also written in a unique magical realism style that provides an exciting and unusual fantasy element in the form of extended metaphors for the characters’ inner experiences. Like attacking words and flying hooks? Yes. The words are Dylan’s thoughts, and the fishing rod and bait is the bully trying to annoy Carly. She has to try not to end up a fish struggling on the end of his hook. Where do the dragons fit in? Carly asks her Auntie exactly this. This is her reply. “So I’m living with an infestation of dragons,” Carly said. The conversation got weirder and weirder. Even though Aunt Anne says the dragons are inside, Carly’s battle with the Doubt Dragon is written as if it appears outside. A huge purple dragon raced out of the bush towards me, snorting fire. I dived out of the way, but the flames licked my arms, searing off layers of skin, leaving it red raw like a lump of meat. Light conjured up from arousing love and compassion. It’s very powerful but Carly doesn’t trust it. Is that bit magical or real? It’s reality written as if it were magic. A karate-trained nerd sounds like a contradiction. What’s Dylan like? He’s gorgeous, of course, and full of contradictions, which is what makes him so interesting. He’s very intelligent and preferred math and computers to girls until very recently, but now his naturally protective feelings for Carly threaten to turn him into a Neanderthal. He never wanted to do karate but his mother insisted, hoping it would stop him being bullied as a child. It worked too. A lot of the book is written from his point of view, so we get to know him quite well. She’s a very ordinary girl in many ways except that she wants to make a difference in the world. She wants to right what’s wrong, but she struggles to find the courage she needs to do that. She loves dancing, art, movies, chips (fries to the Americans), her cat and by the end of the book (after a few kisses) is entertaining the idea that she just might fall in love with Dylan too. What kind of solutions for bullying does the book offer? I use analogies for helpful ways of thinking. For example, when you stir a cowpat it stinks, whereas if you leave it alone, it crusts over and stops stinking. I draw a parallel between this and anger. If you stir up your anger, it’s going to hang around like a bad smell until you stop repeatedly thinking about what caused it. As well as being entertaining, the analogies make the points easy to remember. Also, the main character, Carly learns to meditate, which helps her to handle the situation more calmly and clearly, and she comes to see her harasser in a compassionate light. This increases her self-esteem and eventually disarms him. Of course, she has a lot of resistance to learning to meditate. My teenage daughter made sure that the characters actions were very realistic. Yes. I’ve used the analogies and the viewpoints they represent to help my daughter negotiate the trials of the school ground and also various teens at the high schools I’ve worked in as a teacher. I’m constantly amazed by the immediate positive effect they have. >>One of Tahlia’s short stories, A Hole in the Pavement , is free on Kindle until 7th July. >>You can purchase ‘You Can’t Shatter Me’ on Kindle, or in files for all devices via Smashwords. The paperback will be available via all major book retailers worldwide. If you would like to be notified when it’s released please fill in the form here. Thanks Tahlia for visiting the blog today! 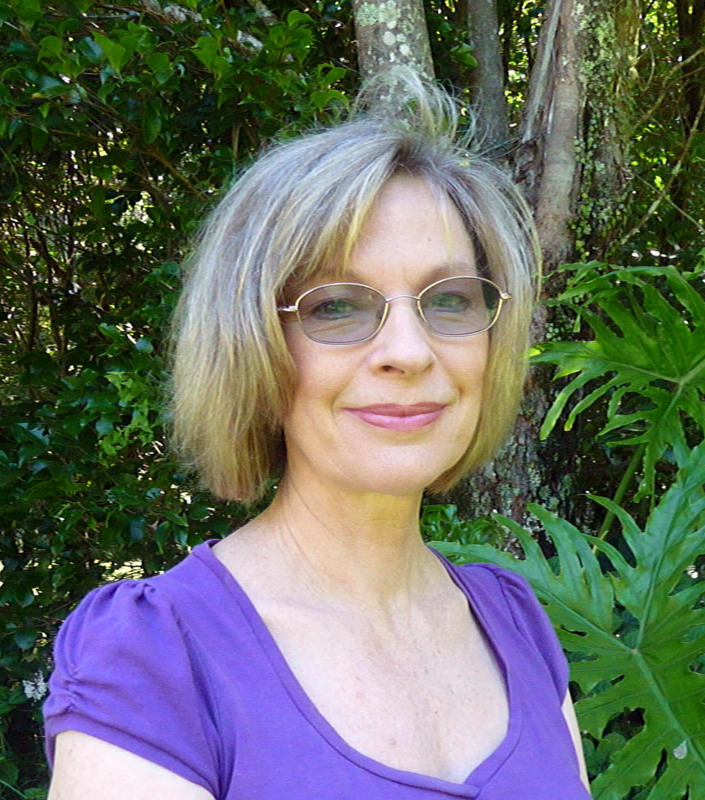 Tahlia is an avid reader, an extremely casual high school teacher, an occasional mask-maker and has studied philosophy & meditation for many years. After scripting and performing in Visual Theatre shows for 20 years, she is now a bone-fide expatriate of the performing arts. She lives in an Australian rainforest, is married with a teenage daughter and loves cats, but she doesn’t have one because they eat native birds. Connect with Tahlia at her website/blog, Facebook, and Twitter.